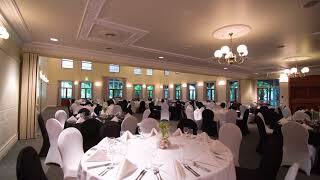 Get the best service and rates by dealing direct with Cairns Colonial Club Resort. Get this deal now! Full Buffet Breakfast for FREE in Homestead Restaurant. Exclusive Offer valid when you book here for stays from 19.09.2017 to 31.12.2019. Colonial Club Resort Room | Direct Deal! Resort Rooms boast a fresh, light-filled contemporary look and are nestled in lush tropical gardens. Whilst accompanied by paying adults and using existing bedding in a room, children stay free of charge. If a rollaway bed is required to accommodate a child - additional charge applicable as per extra adult. Airport (24 hours notice) and City transfers are available for a nominal fee. Colonial Club | T-bone Tuesday! Did Monday get you down? Pick yourself back up every Tuesday with our T-Bone special. Tantalising 350 grams of prime beef, with chips and salad – just $19! A family favourite for locals and travellers. The Homestead Restaurant offers you a relaxed dining experience overlooking the resorts tropical lagoon pool. Should you be dinning alone or with friends the team at the Homestead Restaurant is on hand to cater to your every need. Colonial Club | Thursday Schnitzel Special! Nothing beats chicken... Except chicken schnitzel that is! Sink your teeth into a fat and tasty schnitzel every Thursday at the Cairns Colonial Club. Looking for a tantalising set lunch menu WITHOUT having to drive to town and fight for a park? Choose from a selection of the freshest produce and traditional lunch favourites, all served with your choice of house beer, house wine, soft drink or tea/coffee. Head on down to the best deal in town - WITHOUT the drive or the hassle with parking. From the moment our friendly staff greet you as you arrive at the resort, you will check right into the holiday spirit. Relax and enjoy our stunning North Queensland atmosphere and surroundings, or select from a vast range of facilities and services available. The Cairns Colonial Club Resort combines the tranquility of a tropical resort with the advantages of a mainstream hotel. Cairns Colonial Club Resort is an ideal base from which to explore the world heritage listed Daintree Rainforest and Great Barrier Reef. Situated on 11 acres (4.5 hectares) of tropical, award winning landscaped gardens, 3 large, lagoon-style swimming pools, one resort restaurant and Poolside Bar, Cairns Colonial Club Resort is known worldwide as the regions leading leisure resort. Rooms range from the functional Classic Rooms, to our spacious Executive Suites. With a total of 5 room types available, guests have an excellent range of accommodation to choose from. Children aged 0-12 years inclusive are free of charge when sharing with adult/s. Cots are available at no extra charge. Enjoy a cafe’ – style meal or a refreshing cocktail at Poolside Cafe’. It is the perfect place for families or for those just wanting to relax with friends. A children’s playground and games room add to the fun. Poolside Cafe operates seasonally and is not open during the wet season. Located in the main foyer, and overlooking our main lagoon style swimming pool, the Homestead Restaurant & Bar is open for breakfast and dinner. Homestead Restaurant boasts one of the most comprehensive buffet breakfasts in town. In the evening an a la carte menu and wine list allows you to complete the day in a relaxed and friendly atmosphere, overlooking one of the resort lagoon style pools. The restaurant is also ideally suited to cater for groups, with a variety of set menus available upon request. The Homestead Restaurant is open daily for breakfast from 6:00am to 10:00am and nightly for dinner from 6:00pm. Access is from Cannon Street via the main foyer, and parking is available for the public. It is our great pleasure to invite you to celebrate your wedding in the relaxed atmosphere of the Cairns Colonial Club Resort. Nothing compares to the breathtaking surrounds of our award winning, lush tropical gardens and the traditional Queenslander style setting offered here at the Conference Centre. Cairns Colonial Club Resort’s tropical rainforest gardens and choice of three lagoon-style pools, create numerous picture opportunities, and our variety of accommodation rooms are perfect for wedding night accommodation for you and your guests. No matter what your requirements are, our wedding specialists will happily arrange them for you. Please contact us for further information. The Cairns Colonial Club Resort Conference Centre has been designed to create a true North Queensland experience for your delegates and guests. The Centre is a stand alone building nestled amongst the resort gardens, and offers ample free parking and its own direct street access (Behan Street). Featuring a beautiful heritage style design, it offers the elegance and charm of a bygone era with the service and facilities of today modern age. Every meeting room has air-conditioning, adjustable lighting and a variety of audio visual equipment. Beautiful french doors leading out onto wide timber verandahs provide the perfect refreshment or break out areas. Come in to Homestead Restaurant to experience the best Schnitzel in Cairns Region. Come in and enjoy our 350g T-bone steak, served with chips & salad for only $19! We stayed at the resort with my family and it was absolutely amazing! The lagoon style pool was fantastic and the kids loved the underground spa behind the waterfall! The whole resort was so clean, buffet breakfast was fresh and there are tropical gardens everywhere! The staff was impeccable, highly recommended!